Happiness is found in the littlest of things. It's the sun streaming through the curtains as you wake. It's that first sip of coffee in the morning. It's wearing an outfit that makes you feel good about yourself or a slick of red lipstick that makes you feel like a sassier you. It's laughing with the people you love. It's your boyfriend bringing you surprise chocolate. It's a million different things. I've been thinking a lot recently about being happy. I feel like most people, myself included, don't stop to think about being happy. We're quick to notice when we've had a bad day and are feeling a bit down, we complain about the one annoying thing that happened to us today and we're constantly wanting more. I think a lot of us are busy searching for happiness, seeking out things that will make us happier and more content with our lives. I'll be happy when I have a job. I'll be happy when I've finished decorating my house. I'll be happy when I'm more toned. Or yanno, maybe I'm happy now. But do I ever stop to think about that? Do any of us ever truly appreciate happiness when it's there or are we constantly trying to be even happier than we already are? 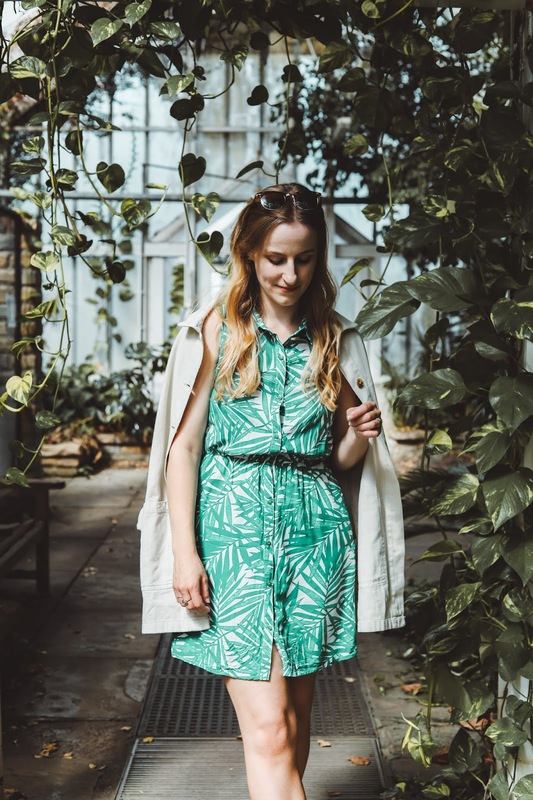 It's a difficult thing to balance because obviously we should always be striving for things in our lives - I couldn't exactly decide 'well I'm happy now so I'll just leave my house as it is' because then, well, I wouldn't have a functioning kitchen. So I guess it's finding a way to keep that drive and ambition to do the best you can do in life without making your happiness reliant on it. Happiness should be reliant on the now and how you feel in the moment. And if you are happy in that moment, appreciate the fact that you are, because moments will come along when you're not. I suppose happiness is maybe like compliments. They say it takes ten compliments to reverse a negative comment and maybe happiness is the same. It takes a lot of happy to reverse that one bad moment in your day and happiness can be an uphill struggle for some people. But I for one am going to appreciate those little moments that make me happy to the full because if I can acknowledge that I'm happy as often as I acknowledge that I'm annoyed/upset/angry then I'm sure I'd realise that I'm actually happy 99% of the time. If you actually made it through that word vomit that may or may not have made any sense, you'll be happy to know that I'm going to talk about the outfit now, which lets face it, is probably why most of you are here. And it's relevant because this is currently one of those outfits that makes me happy just by wearing it. 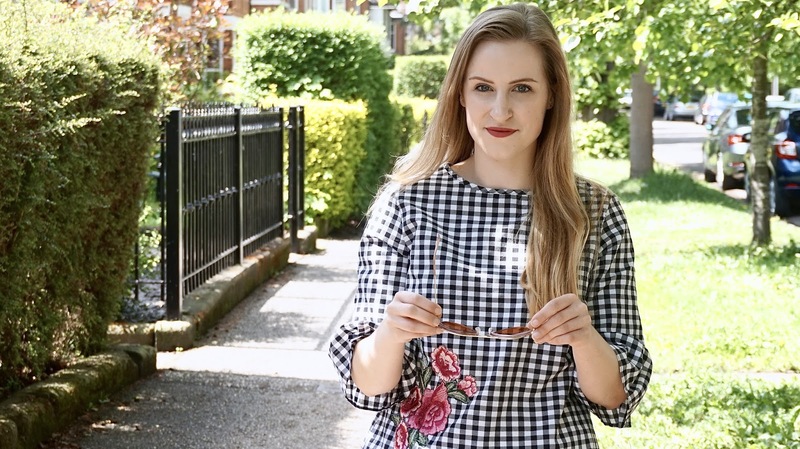 This gem of a top was an absolute steal in Primark and at only £10 it's merged together three of my favourite trends at the moment - gingham, embroidery and bell sleeves. Now you know why it makes me so happy. It also has buttons all down the back which I failed to get a photograph of #badblogger, but is such a cute touch. It's super comfy and goes with pretty much any bottom half, but I like it just with jeans to dress it down a little. These jeans are my old faithful Jamie jeans from Topshop, which I've actually had for about 8 years and they're still going strong. The shoes are also a Primark find and how cute are the little pom moms? Love. This is gorgeous! 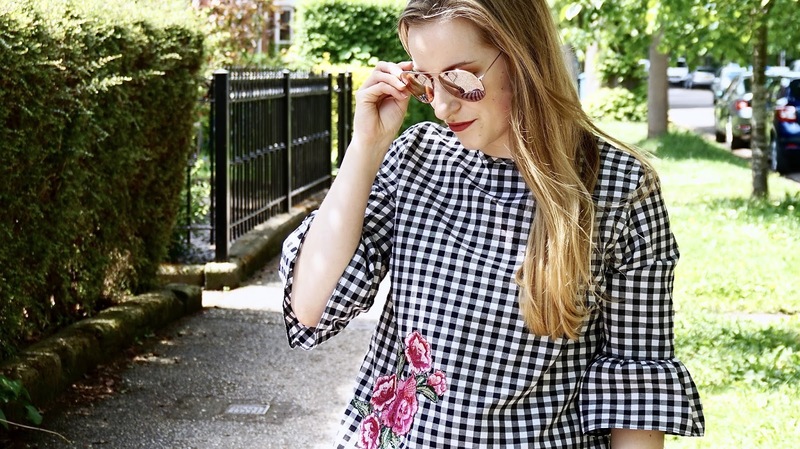 I love the gingham top with the floral embroidery! I love the gingham top! I agree you can be happy 99% of the time but that one bad comment/moments makes you feel like you will never be happy again. Lovely post and gorgeous pictures! What pretty pictures and such a great top too which really suits you! I don't know if we treat happiness the same in the UK as other countries but I definitely try to appreciate all the wonderful things I have! 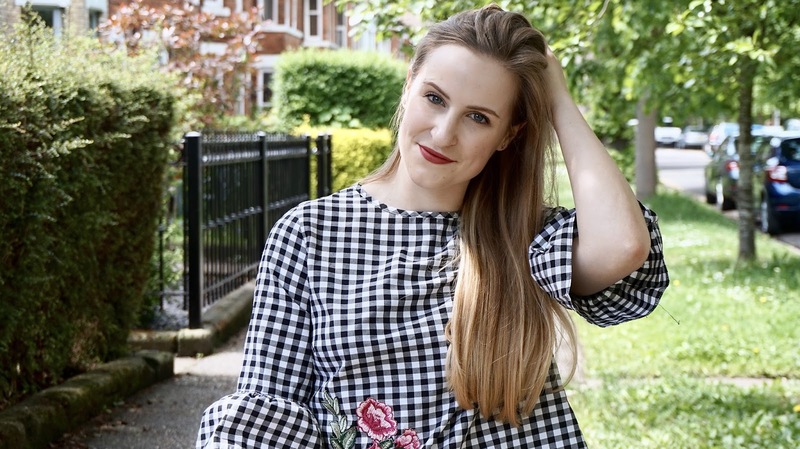 Lovely post and I really love the pretty top! Have a nice day. Happiness can be hard to accept and enjoy in the moment. I feel like when I am happy I am just waiting for something bad to happen! I couldn't agree more, Amy! It is always easy to notice when you're feeling down in the dumps and often so hard to recognise when you're feeling happy, it doesn't even enter your conscious! Living in the now is definitely something I need to focus more on! 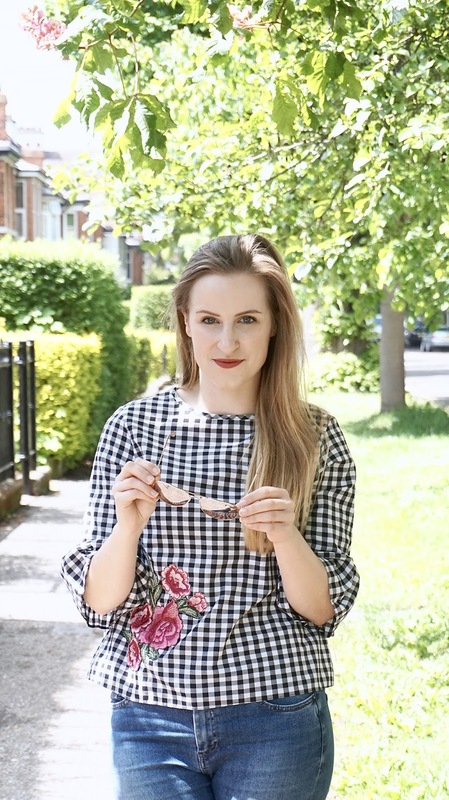 You look stunning in your photos, the gingham suits you!